In honour of Easter, and perhaps just because it is so darn cute, a video of a cat that befriended a bunny rabbit tops our list of the best videos of the week. You could say that the bunny has a BFF (Best Feline Friend, groan...). 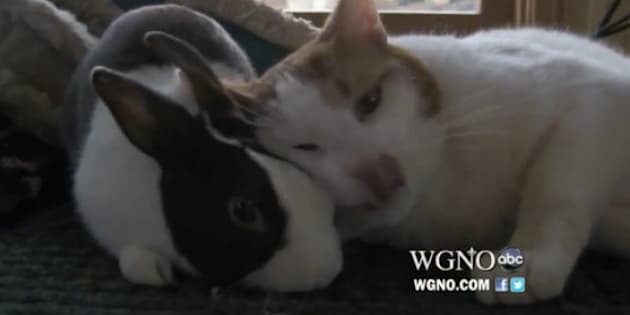 Beyond the cat and rabbit pair, animals figure prominently in our top videos of the week. Some of the clips that made the cut include curious mountain lions, endearingly loyal dogs, a hungry, hungry crocodile and even fish with very human-looking teeth. Check out the week's top videos below.